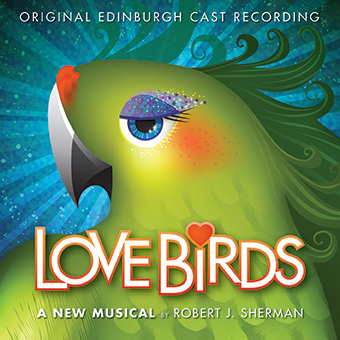 Premiering at this year’s Edinburgh Fringe, Lovebirds marks some gorgeous new musical theatre from Robert J. Sherman. The son and nephew of legendary tunesmiths Robert B. and Richard M. Sherman, Robert J. 's show harks back to the era of vaudeville, Scott Fitzgerald and days of schmaltzy, beautifully voiced romance. Telling a simple fantasy fuelled fable, whilst Sherman has written all of Lovebirds’ music, lyrics and book, the unmistakable influence of his beloved predecessors runs through the melodies like a stick of rock. Lovebirds is a world of singing birds and heartfelt passions, where a barber-shop troupe of singing penguins is signed up to a fading vaudeville show of macaws and parrots. 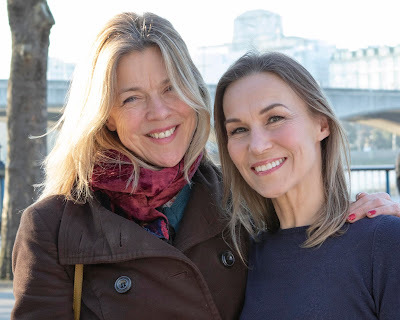 Jealousies and rivalries emerge and an unlikely love blossoms before ultimately all the birds are in harmony expressing a passionate hope for the future. It’s a corny if imaginative premise, but what makes Lovebirds take flight is the beauty of Sherman’s music and the immaculate performances of his gifted cast. Whilst Lovebirds is undoubtedly a sincere and warm-hearted look back at a more gentle time, it is playing to a 21st century audience – and notwithstanding the performers’ talent (captured beautifully in this immaculately engineered recording) there are a handful of Sherman’s rhymes that are too easily predicted, with other lyrics crying out for a “Tim Rice” touch to sharpen their wit. And whilst the album’s penultimate number Today Is Yesterday’s Tomorrow offers an outlook on the future that is syrup-like in its optimism, one cannot help but be reminded of 1963’s offering from the senior Shermans, There’s A Great Big Beautiful Tomorrow - to the extent that the sixties number almost overshadows Robert J. Sherman’s work. There are some true gems in this recording – there’s an affectionately wistful, penguin-performed tribute to Mary Poppins that neatly references the birds’ appearance in Disney’s iconic movie, whilst the company number Tinpanorama makes for a sassy treat that sounds like it features some sensational tap work. Amidst a flock of treats with Sherman’s melodies referencing the charleston as well as a soft-shoe shuffle in there too – and with Greg Castiglioni and Ruth Betteridge leading a flawless 9-strong troupe, there is much in Lovebirds to please the genre’s cognoscenti. An economically sized band of 3 musicians, under Neil Macdonald’s accomplished direction, also deliver excellence. It is possible that some of the genius of the Sherman brothers came precisely because they were a pair – able to both criticise and hone each other’s contribution. Robert J. Sherman, who has a recognised gift for both composing and storytelling, writes alone. With a snappier lyricist for a wingman, Lovebirds could yet prove sensational.